January 1, 1875 – Visit with Uncle Sam’l Riggs flks till 11 a.m., arrive home at 3 P.M., the roads very rough, work very scarce, wages low, to all appearances this will be a hard winter for laboring men, looking for guidance from above we enter upon the year 1875 with strong faith in God. Jan. 2 – Grinding – posting book, Fixing wagon, Bro. D. Crow called this afternoon. Jan. 3 – All at Church at Smithfield, Mr. Henry Schouten and Mrs. Morehouse married. Jan. 5 – Wm. Dibble badly hurt with a blast, probable will loose both eyes. Jan. 6 – Looking over land I expect to buy of father, run engine to grind 95 bushels chop & pile boards. Dr. Everitt of Elmira and Miss Harriet Phelps married. Jan. 12 – Pack shingles, very cold. Mrs. L. Langford and Miss Helen Luther here visiting – Sign $20.00 on Church debt at Smithfield + debt about $400.00. Jan. 13 – Pack Shingles – Run engine to grind 35 bushels – carry out shingles have sawed at the present time—104,000 No 1 Shingles, 44,000 No 2 Shingles, 30,000 No 3. Shingles. Jan. 16 – Fix Heater, grind 65 bushels. Walter Philips wife died. Nearly sick with cold & 2d Quarterly meeting at Smithfield for year. Jan. 20 – Howard Hill and Miss Della Black married. 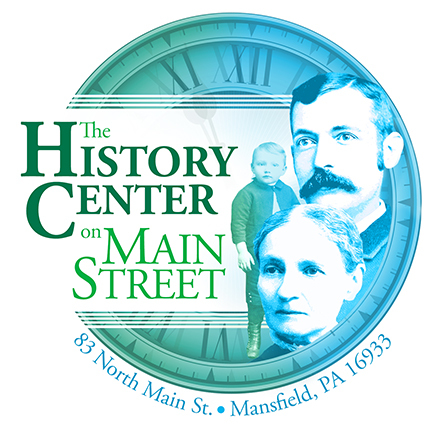 Jan. 21 – Get new cutter of M. Vosburg – Price $45. Jan. 22 – Ira Burlingame and a Miss Campbell married about this time. Jan. 27 – Grind 35 bushels and clear out road, Father buys 1 yoke of oxen of W. T. Brown, Paid $175.00 (7 years old next spring) to pay ½ on the oxen an own them equally. Jan. 28 – Drawing out posts for line fence between J. C. Tompkins & self. Old Mrs. Campbell died, Step-mother of Josephus Campbell who died last Spring. Feb. 3 – Draw out poles for fence and run engine. Warm – grind 45 bushells. Baptist Church at East Smithfield Dedicated, the Church is built of Brick, Cost $8365.30 all provided for except about $300.00, a large turnout I hear. Feb. 7 – All at Church, Sunday School & Class Meeting. Mrs. Elton Durfey Died, Mr (Mrs?) Washington Campbell very sick, Mr. Judson Burlingame Very Sick, Jas. Webb Very Sick, Mrs. Jas. Webb Very Sick, Miss Francis Langford Sick, Mr. Franklin Langford Sick. Father commences on his 10 year as "Superintendant" of the Union Sunday School at Burlington Boro. Feb. 14 – All at Church, Sunday School & Class Meeting. Mr. Geo. T. Beach sick, Mr. A. Riggs sick, Mrs. A. Riggs sick. Dr. Cowell has 40 patients. Feb. 17 – Mrs. H. B. Taylor of Williamsport died a few days since. Feb. 19 – Mr. Stanton Clark’s oldest son about 18 years old died. Feb. 25 – Put window in front of Grocery for work shop. Wm. Sloan & Geo. Campbell called at fathers this morning. Draw lumber over to plaining mill for Phelps & self. Feb. 27 – Wm. Pierce broke his leg a few days since. Feb. 28 – Mr. John Jerould died yesterday. March 2 – Hear that the Chemung Bridge at Athens is gone, the Luthers Mill dam and Isabels on Sugar Creek are gone Some say the ice is 3 ft. deep. Mar. 4 – A young Mr. Fletcher, son of Stephen Fletcher died at Mansfield. Mar. 7 – All at Church. Claton Brigham and Miss Janette Griffin married. Mr. Horace Keelers father and Tink Waldron died yesterday. Geo. Godards mother died a few days since. Mar. 8 – Receive deed of father for 25 ½ acres land being the East end of a lot bought of Holenbeck and deeded to D. Bourne for $35.00 per acre. Mar. 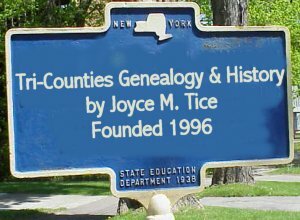 9 – Count boards for J. C. Tompkins & R. R. Phelps count 10106 ft. – time 4 hours. Run engine to grind 70 bushels chop. Mar. 11 – Geo. Beach & wife here visiting. Mar. 13 – Cousin Loey McAffee and wife here visiting. Mar. 16 – Creek high – C. F. Blooms mill dam goes out, R. Suthers mill taken off by the water. Mar. 23 – Pile lumber for a Barn which I expect to build in 3 years if we are prospered and have good health and favored of Providence. Mar. 27 – Mr. Otis Burlingames 2 son and Miss Frankie King married on last Thursday. Apr. 2 – Miss Martha Parmer and a man from the East married. Apr. 6 – Mrs. Dr. Fitch of Chicago and Mrs. J. F. Long at fathers visiting. Apr. 8 – Run circular saw, grind 75 bush. Cop – warm. Amt. Of chop ground this year up to date 3200 bushels. Apr. 10 – Rev. D. Crow wife & daughter (Hattie) here visiting. Apr. 16 – Sloan Ross stops work, has worked for me about 1 ½ years. Apr. 25 – Mrs. Joseph Hilton died about 3 weeks since. May 29 – Work on barn and attend diceration at Smithfield, large turn out, Statements made by Dr. Bullock, No. of men enlisted in the army’s about 2,700,000 No. of deaths about 1,000,000. The Dr. was very weak and failing fast. June 1 – All at Mr. Geo. T. Beach’s visiting, have a pleasant visit. Play our first game of Croca make a poor beginning. June 4 – Old Mrs. Beach (wife of the late N. M. Beach) 90 years old today. June 14 – Cut logs in woods, a very heavy frost last night which killed every thing in garden & killed potatoes and corn in field, froze ice over washbut 1/4 inch thick. June 23 – Build fence & sprout 8 bushels potatoes. In evening visit with Mr. Altman Brigham & Archie Crow and Miss Emma Brigham & Hattie Crow, a very pleasant time. July 1 – Sick but saw 1 small bill of Black Walnut. Colored man by the name of Albert Brown hung at Towanda, PA, at 12:07 for the murder of Cora Greenleaf a child 5 years old, who he attempted to ravish previous to the murder. A very large crowd reported to be there. July 21 – Geo. R. Haight died. July 28 – Royal Pruyne and Miss Wealthy Strope married. Aug. 15 – At Church, Sunday School & Class Meeting, Preaching by Rev. D. Crow. Pay Subscription on church debt of $20.00. A Historical meeting at old Church Burlington a meeting appointed one year from yesterday and today. Aug. 17 – Get pears at Benj. Thomas’s ½ doz. A. J. Cumpton, Tax Coll. Died. Mr. "DeWitt" A. W. Burlingame (a large man) died. Aug. 29 – All at Camp Meeting on Pisgah. A very large turn out, some 4 or 5 000 people there. Aug. 31 – Father Deligate to County Convention held today, also nominated by the convention for Auditor. Sept. 4 – Subpornead by Springfield Township to apprize the value of 2 houses in Smithfield township & give testimony at Smithfield in regard to same. Sept. 8 – William Phelps barn & sheds at E. Smithfield burned No inshurance. Sept. 9 – Mow 2nd crop of Clover. A piece written of me printed in the Bradford Reporter this week headed Temperance. Sept. 14 – Buy one Breachloading gun (Rifle) of L. D. Hill, Pay cash $30.00, lumber $4.00, total 34.00. Uses cartridges 38/100. Gun weighs 7 lb 6 oz. Sept. 20 – All make a farewell visit at Rev. D. Crows. A large number there, have a pleasant visit and Rev. D. Crow starts for Conference tomorrow which holds its session at Canandaguia, NY, commencing Wednesday next. Sept. 29 – Start at 2 oclock in the morning for the State (NY) Fair held at Elmira, a very large crowd, a pleasant time. ???? get home at 10 oclock in the evening. Oct. 3 – All at Church, Rev. Crow returned for another year. Sunday School partially reorganized, Elected Superintendant. William Parker Buried at the Old Church. Oct. 4 – Work on fixing foundation for Barn. Lee takes father & mother to Ulster to take cars for Oxford to friends there. Expect to be gone one week. Oct. 5 – Dig out for foundation to barn in evening we all attend a donation for the benefit of Rev. Crow, he gets about $60.00 cash. Oct. 6 – Place Barn sill ½ day, go to Smithfield as witness on LawSuit between Theron Maynard & Jack Wakely, Subpoenead by Maynard to prove he could do a days work, find it adjourned to one week from this Saturday, so we visit at A. O. Scotts in afternoon. Oct. 19 – Raise Barn, no axcident, have plenty of help. Oct. 20 – Receive receipt of Job Morley in full for Principal, Interest & costs on Judgement No. 602. Dec. term 1874. Principal $1990.00, Interest $119.40, Costs $1.25 – Total $2110.65. D. Bourne paid on the above Judgment $1299.15, Deduct $500.00 due me from D. Bourne would leave me in D. Bournes debt at present date $799.15 on this OK to draw interest. Frame Rafters for barn. Nov. 1 – Take up apple trees in way of Barn & set them South of house. Nov. 3 – Board on barn. The entire Republican Ticket elected in county & State. Majorities not known positively yet. Nov. 15 – Rainy – take down shelves & counter in grocery. Nov. 18 – Miss Isadore Blakeslee buried today at E. Smithfield, died at Athens. Nov. 21 – Mr. Horace Heath & Salla A. Campbell married. Nov. 25 – Mr. Rich Roe and Miss Ann Eliz Usher married. Mr. John Schouten and a Miss McCracken married one day this week. Nov. 26 – Old Mr. Ames buried. 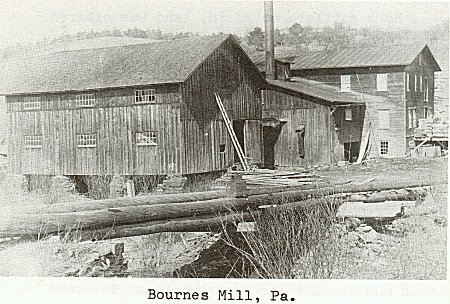 Nov. 29 – Finish Grist Mill cogs and see Mr. A. Robinson in regard to laying up arch where burned out. Says he can’t come. M. R. says that ½ bushel salt in 6 or 8 bushels common loam will make a mortar that will stand fire well. Very cold strong wind from the north. Father on an arbitration at Smithfield. Nov. 30 – Very cold, thermometer at zero. Fathers Personal property levied on by the Sheriff today for or to satisfy notes signed with R. R. Phelps as security. The following is the property viz – 1 span of horses & harness, whiffletrees & neck yoke, 1 lumber wagon, 1 ???? wagon, 1 Buggy, 1 cutter, 2 cows, 1 yearling, 1 yoke oxen, a quantity of hay, interest in lumber & shingles at Mill, 1 stump machine, 1 ox yoke, chains & plows. Dec. 13 – Help father thresh oats. He has 150 bush. Melvine Douglas house at Burlington burned, Clarence Fords house in Smithfield township burned. Caught fire from ashes & shavings, very windy, Douglas house insured for $700. Dec. 18 – Father’s things being his personal property levied on Nov. 30 advertized to be sold on next Friday at 1 oclock. Dec. 22 – Albert Scott & family here visiting in evening. Dec. 24 – Sheriff Sale adjourned to the 7th of January 1876. DeAlton Kingsley and Miss Crandal married. Dec. 25 – E. Guyer buried today. Allen Langford not expected to live. Dec. 30 – Elisha Davids buried at Ulster today. Dec. 31 – Posting books and looking for money to help father in the Sheriff Sale to be on the 7th of January next. Borrow $100 of Mrs Ophelia Gerould for 2 years at 8 per cent interest, I ?? the entry interest today.